Factory Tour - Unionfull (Insulation) Group Ltd.
Glass fabrics are available in thicknesses ranging from ~0.0010” to ~0.060”. The weight range begins at less than 1 ounce per square yard to over 50 ounces per square yard. Yarn size determines the weight and thickness of the fabric. For specific applications, one yarn may be selected over another to the advantage of the fabric’s physical and mechnical performance characteristics. This is determined by the number of warp yarns (machine direction) and fill yarns (cross-machine direction) per inch of the fabric and by the weave pattern. Most industrial applications require that fabric be used with a coating material. For compatibility with resins coatings, an organic finish or after treatment is often applied to the fabric. This process serves to control the yarn strength,diameter, weight, and flexibility.Filaments are twisted to a predetermined specification,and the twisted threads are then combined or plied to balance and avoid any stresses in the yarn that may cause processing difficulties. Many glass fabrics are woven from single yarns as received from the yarn producers. Warping, shown in the drawing, is essentially the laying of the yarns in parallel order. 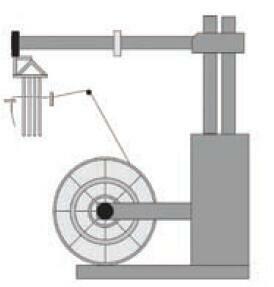 A specified number of threads per inch are drawn from a creel and wound on a warp beam. 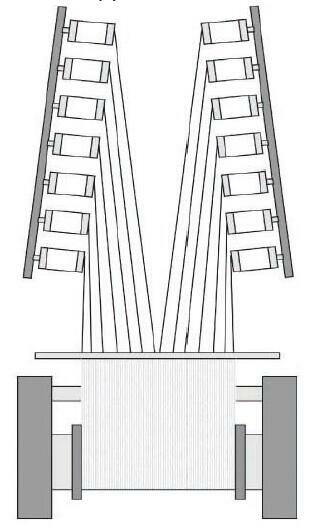 Several “section” beams are then combined to provide the designated number of threads per inch required in the fabric specification. 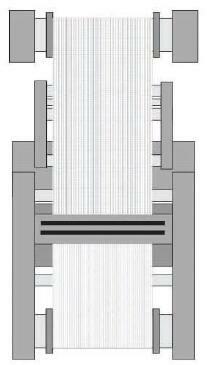 The combination of section beams occurs during the slashing process to create the warp, or loom, beam. This entire system of parallel threads is wound on one loom beam to become the “warp”, or lengthwise system of threads in the fabric. Slashing is employed when non twisted yarn is used. Warp sizing is applied to the yarns to facilitate handling and to provide protection during the weaving process. This operation involves (1) sizing single-fiberglass warp yarns with a specially compounded chemical formulation, (2) drying the yarns, and (3) winding the desired number of ends on the loom beam through the combination of section beams. The entering operation prepares warp yarn for weaving.In this process, the warp yarns are threaded from the loom beam through the headle eyes on the proper harnesses to achieve the desired pattern in the fabric. The warp yarn is then drawn through a reed to establish the warp thread count.The reed is also used to place the filling yarns in their proper position. Weaving consists of interlacing a series of filling yarns with a series of warp yarns at right angles. The filling yarns are inserted by an air jet, rapier or shuttle that traverses the yarns from one side of the warp to the other, interlacing the two systems of threads, “warp” and “filling”, in a prearranged weave plan. Coupling agents are applied to the fabric during finishing.The coupling, or finishing, agents act to provide optimum adhesion between the reinforcement fabric and the polymer matrix. Ballistic fabrics may undergo scouring and water repellent treatment in the finishing stage. 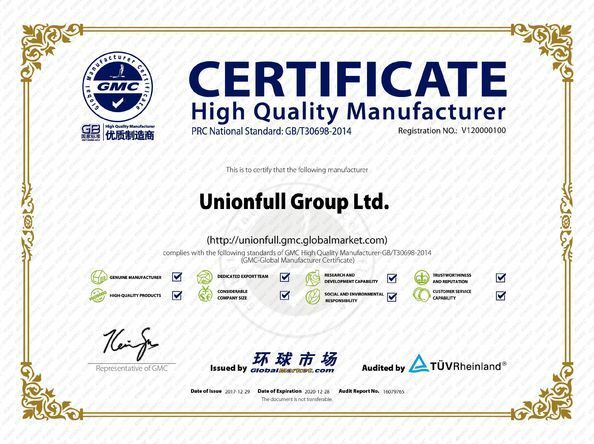 Unionfull Insulation Group Ltd. is a quality environment friendly (ISO - 9001 & 2008) modern, hi-tech enterprise specialized in manufacturing of Thermal Materials and Heat Resistant Materials, such as Fiberglass Fabric, Silica Cloth, Silicone coated Fiberglass Fabric, Needle Mat and so on. The products are customized with maximum width of 3.2 meters Karlmayer Weave Machine, 0.05mm ~ 1.2mm thickness. There are more than 10,000 m2 factory warehouse and big production capacity to promise the short delivery time. 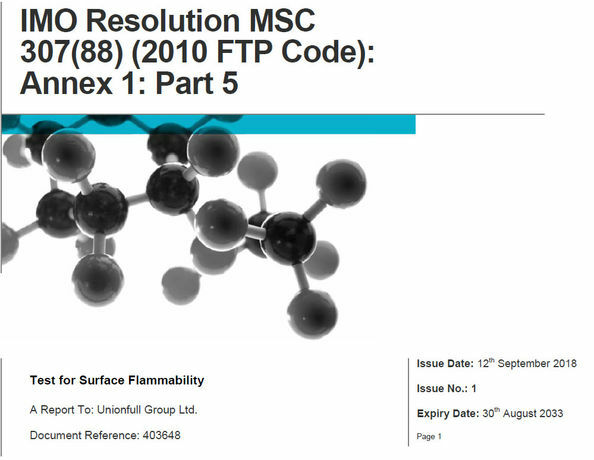 Unionfull Insulation has his owe QC Team,from raw material selection to products delivery,our responsible QC members inspect every process stringently to guarantee all the products we produced are of high quality. We do not allow one of the defective products to be shipped to you destination.